Shark diving Galapagos is the reason why many divers visit these remote Islands. 12 known shark species live in Galapagos and many of them can be seen on almost every dive. Many divers visit the Red sea in Egypt to dive the famous wrecks of the Thistlelgorm and The Dunraven. Read more about these wrecks and other awesome wreck dive dives you can make. Looking for information about diving and snorkeling with Whale sharks? in this article we explain what they are, and where and when to find Whale sharks across the globe. Prescription glasses are a good solution for the scuba diver who does not like to wear contact lenses. If you do wear contact lenses when scuba diving you do not have to fear you will loose them. Are you wondering why you should get scuba certified? In this article, we give you six valid reason why you should get scuba certified ASAP. Looking for more information about diving in Anda on the island of Bohol in the Philippines? In this article we explain how to get there and why you should go! 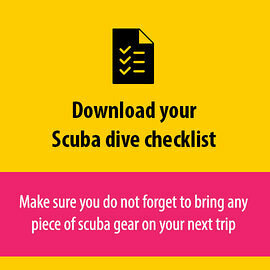 Looking for more information about choosing the right fins for scuba diving? In this article we explain how you should choose the fins that fit your diving style. Follow these 5 valuable tips and tricks and become a better diver who does not damage a coral reef. Looking for more info about the new Galapagos Marine Sanctuary that was announced on march March 21st, 2016? In this article, we explain why this is a huge step for Galapagos and ocean conservation in general. Looking for more information about the marine reserves in Belize? In this article we go into full detail where to find the most interesting marine reserves in Belize you should dive. Are you afraid of the dark and do you think night diving is scary? In this article we explain why scuba diving at night is awesome and not scary. Looking for info regarding diving the famous shipwrecks of Coron Palawan? This article explains more about how to get there and what are the best wrecks and reefs you should visit. looking for more information about the Belize Barrier Reef? In this article, we share six facts about the second largest barrier reef in the world. Are you planning a dive trip to Belize? In this article we give 6 valid reasons why you should visit Belize for an amazing scuba dive trip as soon as you can. How Steel vs Aluminum Scuba Tanks Will Effect Your Buoyancy? Looking for info about the differences between a steel and aluminum scuba tank? In this article, we explain how you choose the best option for you. Looking for more information about the Lighthouse Atoll in Belize? In this article we explain when you should go and where you can find the best dive sites in this amazing place. Join featured photographer Janice Carter on one of our underwater photography dive trips to epic dive destinations all over the world and become a better u/w photographer in a week. Looking for more information about diving with Thresher sharks in Malapascua? We explain when to go and what you may expect when you are there. Looking for information about the differences between wrist vs. console mounted dive computers? In this article we explain the pros and cons of both options. Fluorescent Night Diving, What is It and Why Should You Try It? Dive Resort or Liveaboard What Should You Choose and Why? Looking for information about a dive resort vs. a liveaboard dive trip? In this article we explain the exact differences to help you choose the best best fit for you. looking for information about Nitrogen Narcosis and the effects of it when scuba diving? We explain all about being narced and nitrogen narcosis.